We had been living in Beverly Hills for three years when Jamie decided that he wanted to move. I wasn’t surprised. While appearing outwardly glamorous in some ways, it is really just an overly-populated, rich people’s small town, and to us, coming from Manhattan, it was a very small town, indeed. Frankly, I wondered why it took him so long to grow restless. After all, we had seen designer stores before. We had seen Rolls and Bentleys before. We had seen gawking tourists before. And we had seen more movie stars in New York than we ever saw in LA. I think because he spent long weekdays at work and generally returned to New York at the weekends, he had very little time to grow bored; however, when I arrived for holidays or at the end of June and we spent every moment in a town of 5.71 square miles, it didn’t take long for us to weary of it. One night just before Christmas, Jamie announced that he intended to begin looking for a house. Since I was in New York, he viewed the available ones with a real estate broker after work. After he had seen many and narrowed the field to four, he sent me links to the Google Earth pages so I could participate in the final decision. Benedict Canyon. Hmm. Nice but I did not drive so what was I supposed to do with myself all day besides sit alone at the pool, something I had been doing in BH for years? The same for Coldwater Canyon. Venice? Great, but was that a drug rehab clinic next door? Oh, no, no, no, not that one. The final choice, in Santa Monica, however, was different. The late nineteenth century house in the walkstreet was charming. Judging from the photos, it had neighbors, a park, Main Street down the hill, and the ocean two blocks away. There were coffee shops, salons, clothes stores, and a branch library. It wouldn’t matter that I didn’t drive. Jamie had put off closing on the house until late January, just before the Oscars. I was coming to LA for the long weekend’s festivities; from the gifting suites to the Academy Awards themselves, we had a lot of time already committed, but I wanted to see the house first. I arrived on Saturday morning. We drove the short distance from LAX to Santa Monica in a wobble of anticipation. I had been to Santa Monica before but, as we had always stayed at the beach hotels, I had no clear idea of its topography. This time we didn’t go near Loews or Shutters or the Third Street Promenade. We didn’t even get that far. Turning off Ocean Park Boulevard, Jamie pulled into a short driveway and hopped out of the car. I followed. The air was cool and salty. I liked it already. Jamie tapped the residents’ code into the security gate’s keypad and we entered the walkstreet. I had never seen a more charming place. 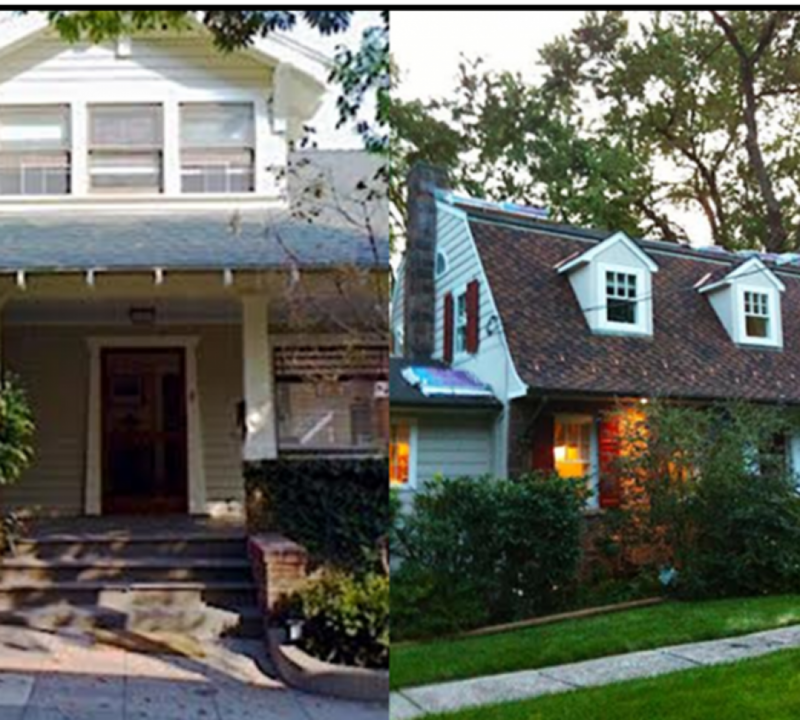 Two rows of historic bungalows faced each other as the sidewalk joined the postage stamp-sized front gardens. No one was about. Heads swiveling to take it all in, we trotted up the rise to our house. It was sage-green with eggshell trim. It had wide steps and a wider wooden porch with two huge glass picture windows, one in the living room and one in the dining room. Gazing from the house to the west, I could see the Pacific from the rise of the hill. We tiptoed up the steps, excitedly, and peered in the windows. Hardwood floors, open space, a new kitchen. . . I was unbelievably excited, even more than I had been when we bought our first home together. We stayed only a few minutes. I had hair and nail appointments to begin the long process of getting ready for the big Night Before the Oscars party at the Beverly Hills Hotel. We sauntered back along the walkstreet and re-entered the car then drove back along Ocean Park to eat a quick lunch at Jamie’s favorite burger restaurant, The Counter. Many years later, I can still feel the excitement I felt that day as, although I didn’t know it, this day was the beginning of so many things – living near my niece, Vikki, and her cat, Finn, again; meeting Debbie and Glenn, who ultimately became among our dearest friends; learning about rats and the proximity of movie star neighbors; and, finally, finding the stray kitten who became our Spencer. It’s often said that a life’s path is determined with a single step. I think it’s true. 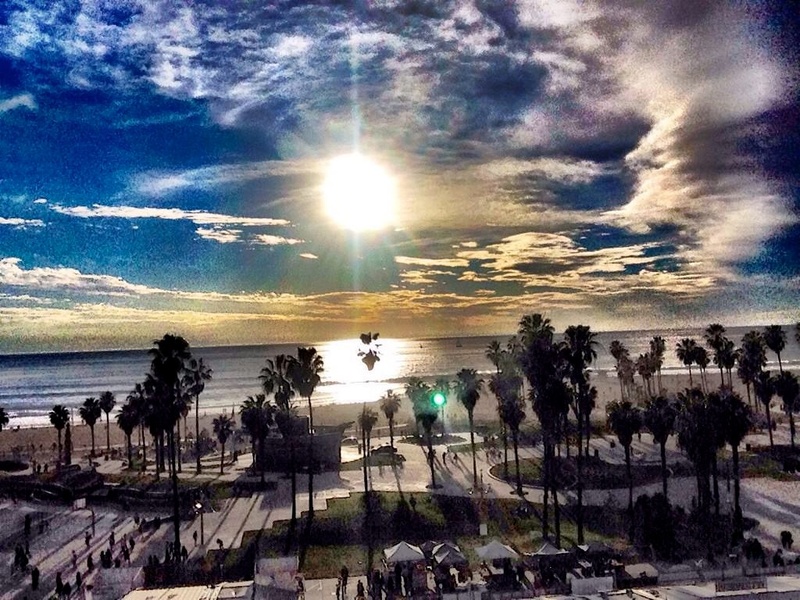 My Santa Monica time was among the richest and happiest of my life so far. And it started with the keypad entry on the walkstreet. “It’s often said that a life’s path is determined with a single step.” — It’s incredibly thrilling and equally terrifying how much things can change based on one decision! Great post.